For so many years, driving by the old, abandoned bank building on the corner of Layhill Road and Glenallen Avenue, I wondered how another business did not see the value in such a prime location. Finally, that bulding is just a memory, and in its place a great new development worthy of our excitement. The shovel has long since hit the ground, and crews are now building the first phase of Glenmont MetroCentre in Silver Spring. This project goes back over 10 years, when the owners of Privacy World, the complex of garden apartments which currently resides between Layhill Road and Georgia Avenue across from the Glenmont Metro, made their first push to redevelop the site into something we’re now more used to seeing at the doorsteps of a Metro station: a walk-able, mixed use development where retail and residential co-exist. The first attempt failed because many in the community feared that the traffic generated from this new neighborhood would add too many cars to an already congested series of intersections. Now that the Randolph Road & Georgia Avenue interchange is funded and underway, those barriers have been removed. What we are seeing today is only about one third of the project and phase one of a project that will completely replace Privacy World and occupy all of the land along Glenallen Avenue across from the Metro, from Layhill Road to Georgia Avenue. 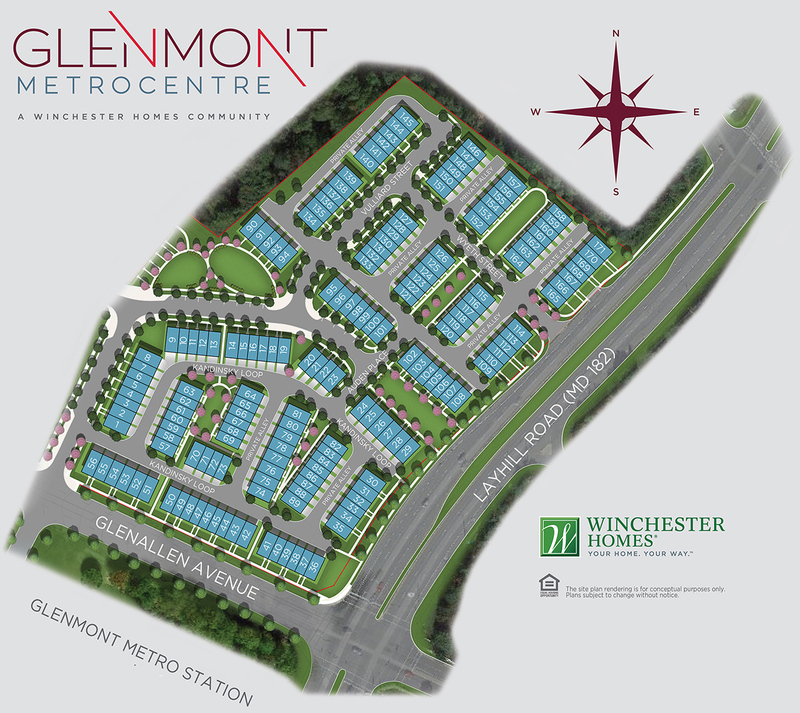 Winchester Homes has just started construction of just under 200 new townhouses. The homes will be 4 levels, with roof-top terraces and a garage (floor plans are available to view by clicking here). The prices start in the $480s, and all indications are that they will be worth every penny. They are new, attractive, and about as close to a Metro station as you are going to get. Even if you do not plan to buy one of these properties, we in Layhill still have plenty to look forward to. 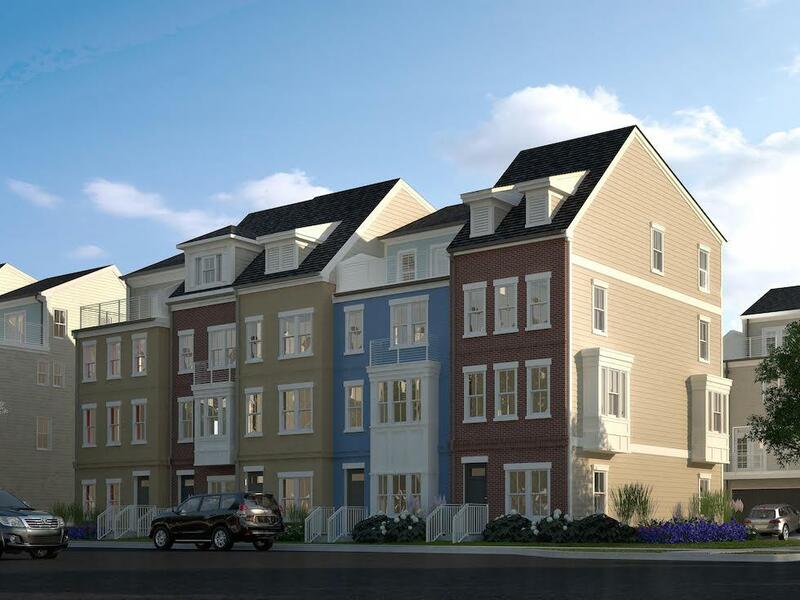 These first few townhomes don’t just represent the beginning of the Glenmont MetroCentre project, they are quite likely the first step in a series of redevelopments around the Glenmont Metro. 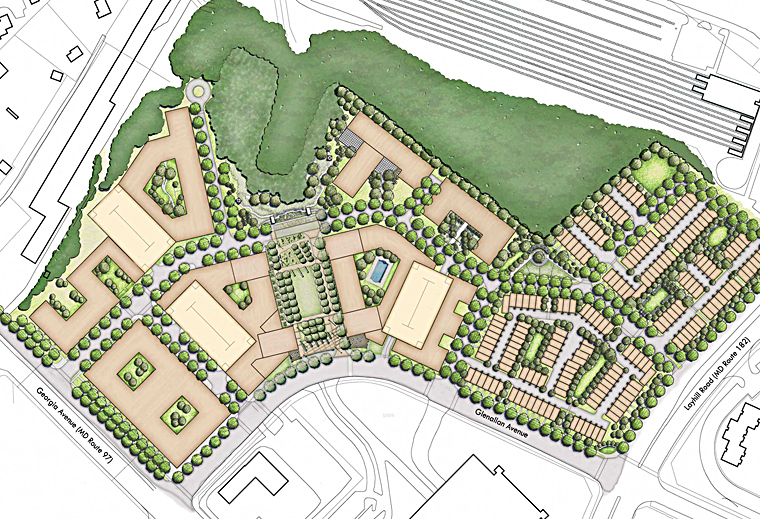 This project will be the catalyst for the next land owner nearby to follow suit, and at some point, perhaps even Glenmont Shopping Center will finally be redeveloped. And that, my friends and neighbors, is great news. If you’re interested in learning more about the process of purchasing a property at Glenmont MetroCentre, or if you want to know how this project will affect our nearby property values, contact me.